After a seven year period involving contract disputes and legal struggles, former child star JoJo returns with her first full length album in 10 years. She previously made history as the youngest person to achieve a number one hit on the pop charts – remember “Leave (Get Out)”? The album draws from a wide range of inspirations, succeeding mostly in showing that the talent is certainly still there, and possibly more so due to her more mature voice — but at times the writing falls that. 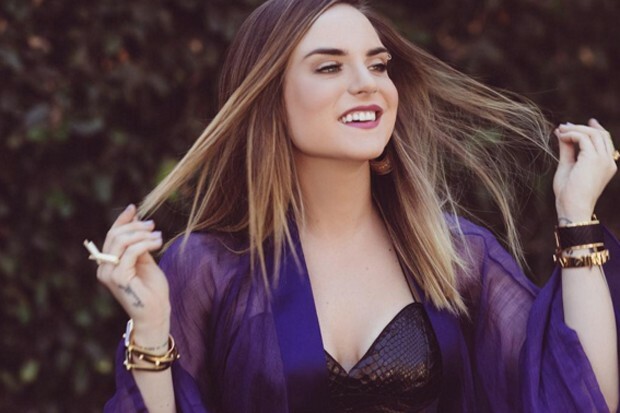 The album’s credits do not display the most recognizable names (And the biggest, Rock Mafia, produced what might be the worst song, “Vibe”), but JoJo’s impressive range is sometimes enough to carry songs on its own. It’s far from perfect, but Mad Love is a pretty respectable album in the wake of JoJo’s struggles. The sound of the the album is quite sporadic. Most of the back half is cluttered with standard pop songs with radio airplay in mind, but about half of the tracks here do have some interesting and diverse influences. Two of the songs have features from Wiz Khalifa and the suddenly relevant Remy Ma, offering coinciding hip-hop influenced beats, while a few songs show that JoJo’s voice is good enough to tackle large-scale R&B ballads effectively. The title track, “Mad Love”, is on another planet altogether, drawing some influence from doo-wop music and reminding me a lot of Rihanna’s recent “Love On The Brain”. This one is shockingly fantastic in the same way, bringing out a dimension to her voice I never would have guessed was there from the introductory songs. JoJo’s voice is indeed the main focus of the album, showcased prominently and rarely letting the production take over the song. This was a smart decision, imbuing most of the songs with layered vocals and great harmonies which only enhance some of the more boring pop songs. The most impressive thing about her voice is her range, comfortable in lower tones usually but shooting up into the stratosphere at emotional peaks in the music. The album is a great showcase of the potential JoJo has to continue a career past her child-star days, provided she surrounds herself with the right people. A song like “F*ck Apologies”, the first single off the album, is what happens when more of an effort is put into making a radio-based single which is unique and showcases personality. The faster-paced song and instantly catchy hook stands in stark contrast to the drowsy filler in the 2nd half. Special mention must be given as well to Alessia Cara for her feature on “I Can Only” – her quieter voice and different approach to the track’s message was a great contrast and continued a streak of exceptional things from her. The album suffers when it meanders into its boring and generic territory. A lot of this stems from the overarching problem of bad songwriting – JoJo does have a primary writing credit on each song, but more mostly unknown writers than necessary accompany her on the list. Due to her child-star past, at times the songs fall into the same trap as many of her peers in attempting to be edgy and showcase adulthood, but squeezing too many of these references in and cluttering an otherwise good song. It also seems like JoJo is being pushed as a pop singer when she should really be anything but. 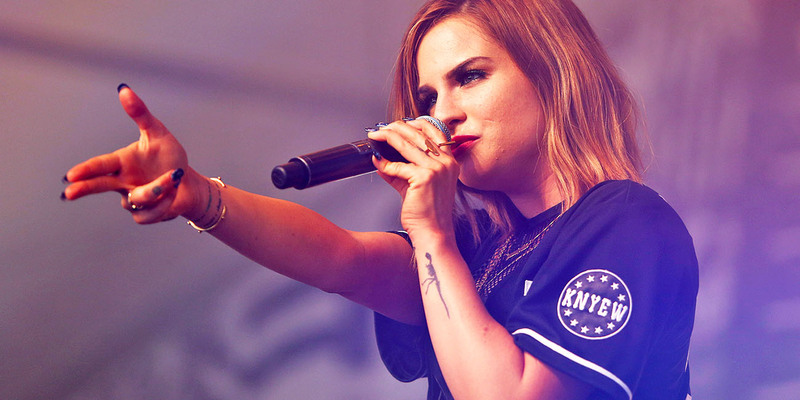 Some songs, like “Vibe”, are content to default to the current trend of substituting an EDM-style dance breakdown in place of a chorus, and JoJo is really too talented to be making those type of songs. She clearly has the voice for R&B, both in the traditional sense with her huge voice, and in the more modern chilled-out sense, like she showcases on the Jhene Aiko-style “Edibles”. “High Heels” could even be more of a rock song with different production. If she finds more success with the pop route, it should be more along the lines of what someone like Tori Kelly is doing right now, rather than aiming for hits. The main takeaway from Mad Love is that after being away from the music industry for so long, and knowing nothing but teen pop music before, JoJo needs more time to fully establish herself as an artist. 10 years causes an artist to completely change from who they were before, and the sporadic nature of this album reflects this indecision. She is certainly talented enough to deliver knockout moments, and does on this album. The filler just needs to be trimmed for next time and we could have something special. ← NxWorries (Knxwledge and Anderson .Paak) – Yes Lawd!